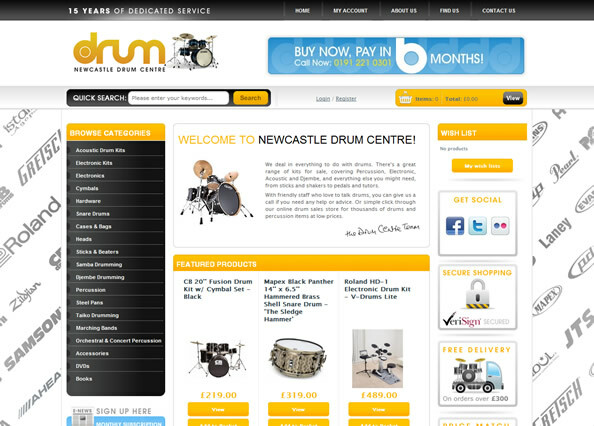 We’ve been helping the Newcastle Drum Centre create their new website since early 2010. It’s been a long process which has seen us create one of the most complex systems we’ve ever done. The final website interacts with the stores internal till / stock system, meaning that stock levels are kept 100% live whether someone is shopping online or in-store. Visit the Newcastle Drum website. 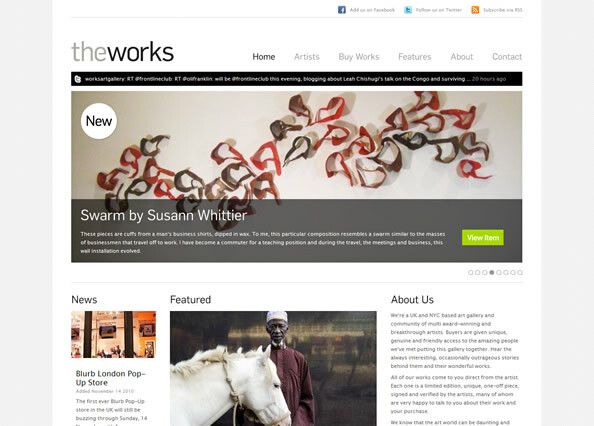 The Works has been one of our favourite projects this year. We’ve helped some amazing artists from New York sell their work in the UK and elsewhere, meaning that once unobtainable pieces of art can now be purchased by anyone in the world. You can read more about the Works project in our featured blog post, or visit the website by clicking here. 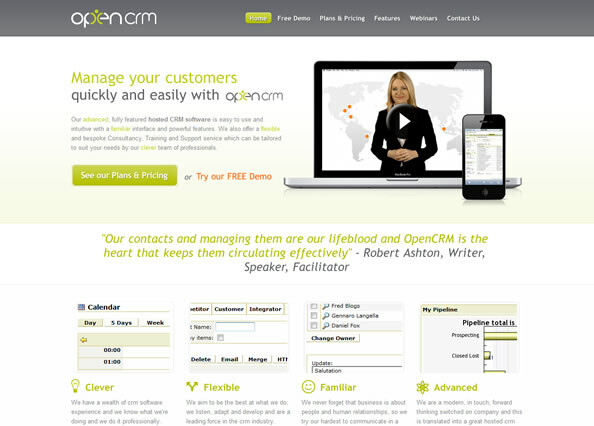 OpenCRM is a leading supplier of industry standard CRM software, so we were delighted when they asked us to redesign their website. The OpenCRM internal development team have done a great job of integrating the website with their content management system. 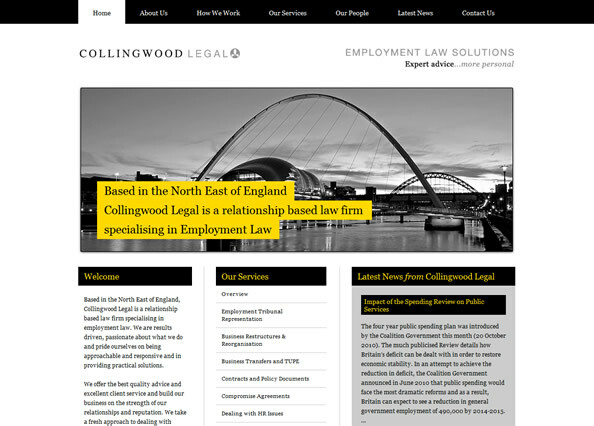 Collingwood Legal are a North East based law firm, specialising in employment law. It was great to help out a local business find their feet on the web and we’ll hopefully be helping Collingwood with a range of services over the coming months. As well as the new websites we’ve launched, we’ve started some great new projects and have also been helping some existing clients expand their online presence. We’re well into the process of designing and developing Parkdean Holidays brand new website. As always, we cant show you anything yet, but we promise that the wait will be worth it when the website goes live early next year. We’ve recently started working with this fantastic organisation that look to secure fair and comfortable working conditions for workers manufacturing sportswear and building sports arenas. Projector have also been helping out with the brand, which is looking great. We’ve recently built a bespoke system for beacon, which allows their suppliers to create their personalised advertisements completely online. Watch out for a blog post about this in the near future. We’ve been helping Jamie at Bespoke Radio add some great new packages to the website. Jamie recently took a stall at the Living North Fair and his new packages were a massive success. November has also seen us officially launch our new email marketing solution. In short, over the last 6 to 12 months we’ve been helping our clients send out marketing campaigns using our new choice of software, and it’s been a huge success. You can read more about this by clicking here.